Aliens have captured several humans, including the woman in yellow. This is not a everyday occurrence. 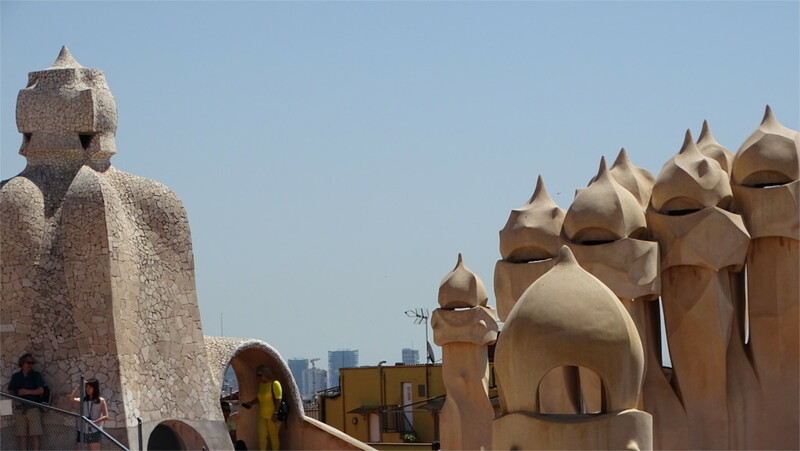 The photo was taken in Barcelona, on the roof of Gaudi’s building called Casa Mila. But do not be fooled into thinking these aliens are chimneys and flues. Indeed. Thanks for sharing the story. Pingback: Tuesday Photo Challenge – Round Up 66 – Dutch goes the Photo!